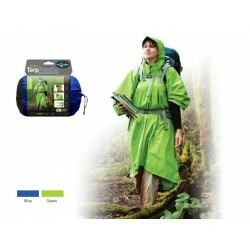 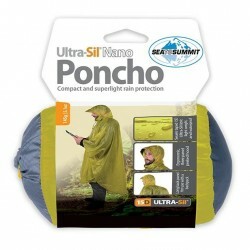 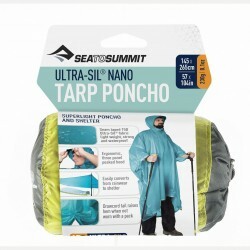 The lightweight raincoat can be used as a classical raincoat as a tarp or as a backpack protection. 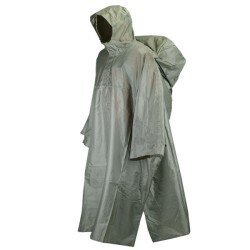 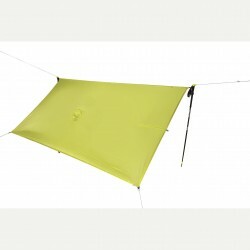 Guy attachment points on corners to convert to shelter, both sides has a zipper for wearing tarp as a poncho. 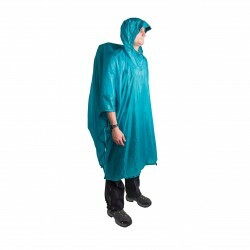 The raincoat has an ergonomic hood with generous brim.